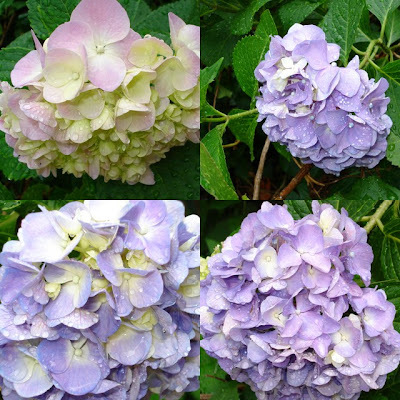 Your hydrangea blooms are the most beautiful color. I love hydrangeas! Gorgeous photos! Exquisite colors...entire rooms could be built around such hues. You must have wonderful bouquets everywhere. I am so excited... I have many, many buds this year ( last year I had 6 blossoms)and I can't wait to pick bouquets of them and still have some to dry. Have a good weekend and stay dry.